Charming Flowers in Late Summer! 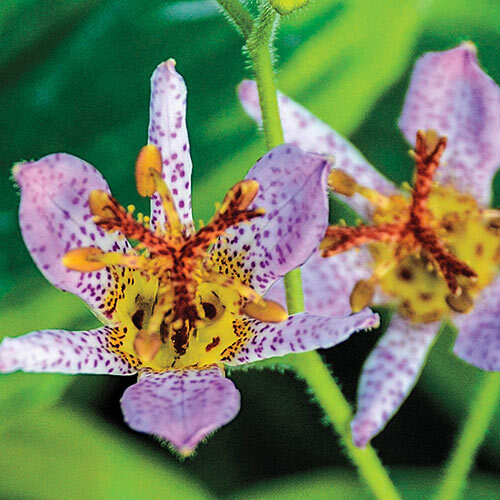 This is not your average Toad Lily! 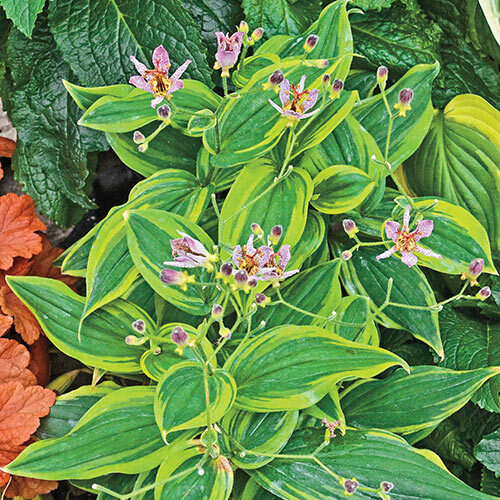 Autumn Glow Toad Lily has beautifully variegated foliage with extra-wide margins of sunny yellow. Like all Toad Lilies, however, it adds gleaming color to shady spaces in the garden with ease. 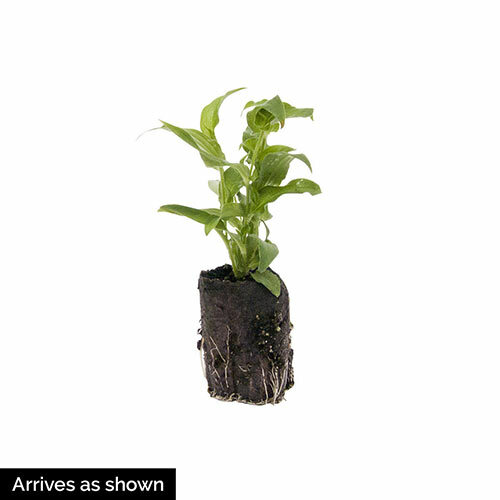 In fact, even before the tiny, speckled blooms of red-purple to blue-violet emerge in midsummer, the plant brightens up the area with its tall stems and mid-green, ladder-like foliage. It's quite a sight when planted in groups. Soil RequirementsPrefers well-drained, humus-rich soil.